Today Google launched their latest smart home product – the Nest Thermostat E, a cheaper smart thermostat that anyone and everyone (hence the E) can install themselves. The new Nest Thermostat E is only £199 (a bit of a steal when you compare it to other similar products on the market) and is one of the first that can easily be installed with a bit of DIY, no need to call a heating engineer. The Thermostat E is a two part system, a thermostat featuring Nest’s traditional dial interface, and a Heat Link E which is wired into your boiler. The Nest app on a smartphone or tablet will run through step-by-step instructions on precisely how to install the Heat Link E, with tools included in the box. The Nest Thermostat E is then placed somewhere else in the home and plugged into a standard mains outlet and placed on a table top, sideboard, coffee table, whatever. The two temperature sensors can then work together to ensure even heating. Of course one of the key benefits of the previous Nest products is their ability to learn your heating schedule, and while the Thermostat E will also come with this feature it has a twist. 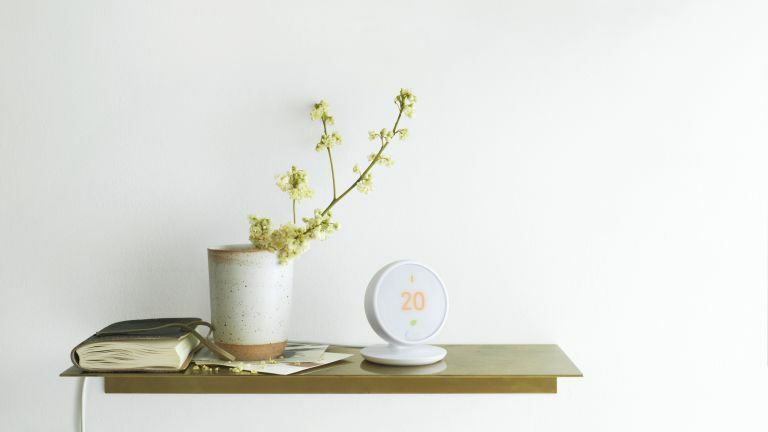 The new model has a simpler pre-programmed schedule, which has been developed using data from Nest’s existing European customers to be the best fit for most people. It will continue to learn over time and still use smart features like True Radiant, adjusting heating accordingly for a more even temperature. Read these 10 reasons why you need a smart thermostat (in our expert's opinion).